I’m in the process of choosing a new bike, and I need your help! Although I would really love a stable of bikes, so that I’d have one for every eventuality (wouldn’t we all?) I need to start with one. 2) Most of the cycling I’ll get to do will be pottering around on local rides or riding with the kids as they learn. This is likely to be in local parks, trails and quiet areas. 4) I’ve always wanted one! 5) I still plan to get a more rugged hybrid kind of bike too, for things like trail riding with my husband, when I get the chance. 6) I would have a new bike by the time I go to Cycletta. 7) Cycletta is only one day. This bike would be for life. 1) They’re pretty, but how practical are they? 2) I wouldn’t really be able to ride it off-road very much. 3) How will I look at Cycletta on this kind of bike, surrounded by road bikes? Hmm. Anyway, if we assume that I am going to get a traditional bike, I’m still stuck with indecision and this is where you come in. Pashley Princess Sovereign: This is the classic Pashley bike. Pashley Brittania: This is based on a Princess, but it’s red! 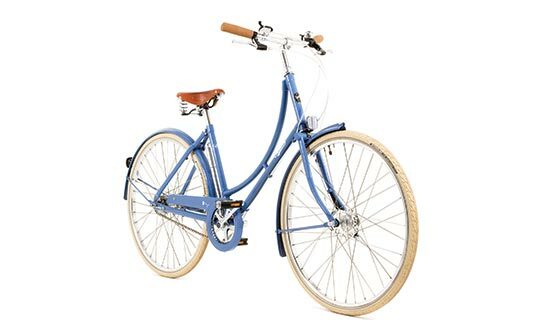 Pashley Poppy: This is based on a Princess frame but with a straighter handlebar, no basket. It comes in this pale blue or a pastel pink. Finally, this is a bit of an odd inclusion, but I do love this bike. It’s a cyclocross bike so would be useful for any occasion but I’m not sure if I will like sitting forward in a road bike style. Mostly, I like it because it’s cornflower blue! So what I want you to do is help me choose. A little disclaimer here, because I might not end up buying the one you pick, but it will help clarify my thoughts. Then I’m going to Edinburgh Bicycle Co-operative (where the photos are from) to have a test ride and do some shopping! 6 Responses to Choosing a New Bike. 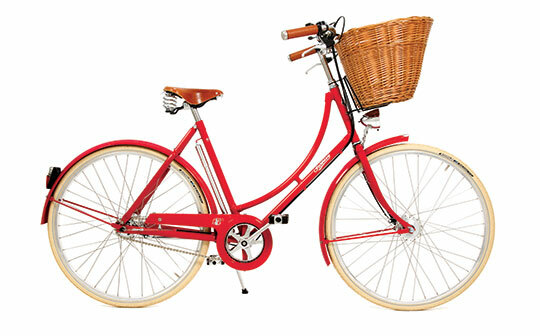 went for red Pashley I have one similar with a basket on front now! but watch the geas as these all are only 3 speed. may need more for hills. I went for this one which is a really cheapie but it sort of gives me that look! did cycletta with it last year and will be again this year! 1) It would be very WRONG for you to get a traditional bike and for it to NOT have a basket. 2) A basket will come in useful for local rides and rides with the kids as you’ll be able to put any useful bits and bobs you need to take with you, or you pick up on the way, in it. 3) The pink is more striking than the traditional black. 4) Okay, you most likely won’t be able to ride off-road on it BUT should a situation ever arise that you need to deliver a baby, a la “Call the Midwife”, you’ll have the perfect bike on which to ride there. 5) You can’t base your choice of bike on one one-day event. Anyway, if you’re going to get a hybrid as well as a traditional bike then you can use that for Cycletta. Or can you use the same bike as last time you did it? 6) You can’t let any niggles about what other people might think about your bike put you off buying it. The important thing is that you LOVE it and you WANT to ride it. No-one else’s opinion counts (except mine obviously!). 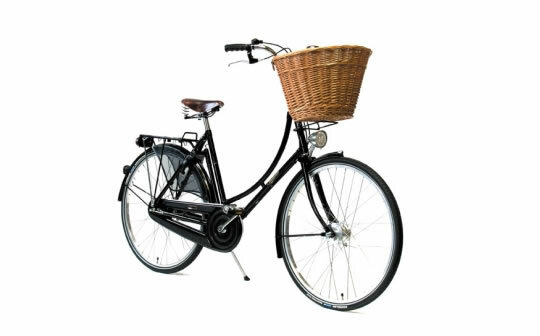 hello i have just ordered a pashley through my ride to work scheme. i have ordered a britannia. 2 main reasons being it has 5 gears as the sovereign but is lighter in weight (17kg vs 20kg) which i was told by two different retailers is better if your a lady, but it is heavier than the poppy (15kg) but the poppy only has 3 gears. I don’t think you can go wrong with any of the Pashley bikes but the Sovereign is by far the classiest, in my opinion. Furthermore, it’s a bike you’d not hae to add any major accesories to, it comes fully equipped. It is eminently practical for the riding you will be doing. 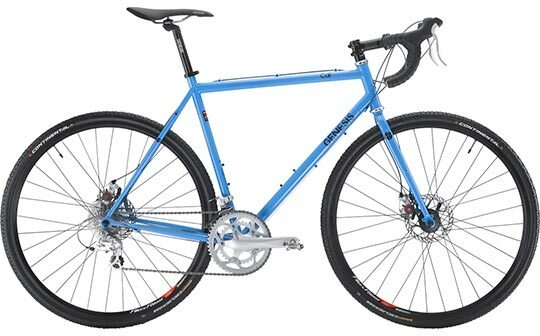 I think cross bikes are great as all round bikes (I have one) but likely won’t suit the type of riding you describe. Thank you for your lovely comment – I think the Princess Sovereign is coming in at the top of the vote! I love that link to the Pashley site too – lets face it, if she can ride it all that way, I can manage a tour of Cycletta on it!